As a note taking structure with students doing research to find information to summarise onto the handout. Images are included if these are relevant to the activity being carried out, but most cards have blank space for students to carry out the activities. The blank space encourages students to fill them with sketches and notes. 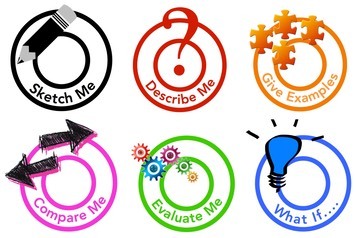 There’s no right or wrong approach and students can write and sketch alongside each logo, or they can use the logos as a guide to what they might include on the card with the content being more randomly presented. Where can I find TechDoodles? 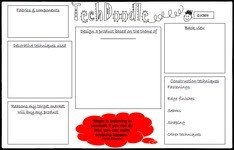 At the moment there are only a limited number of TechDoodle�resources as they are�currently being developed.�Free TechDoodle resources are shared each Sunday on�our blog. There’s�reminder when they are released each week posted on our�Facebook page�along with a link to the page to�help you make sure you don’t miss them. TechDoodles�are also available as part of many of�the courses we run.